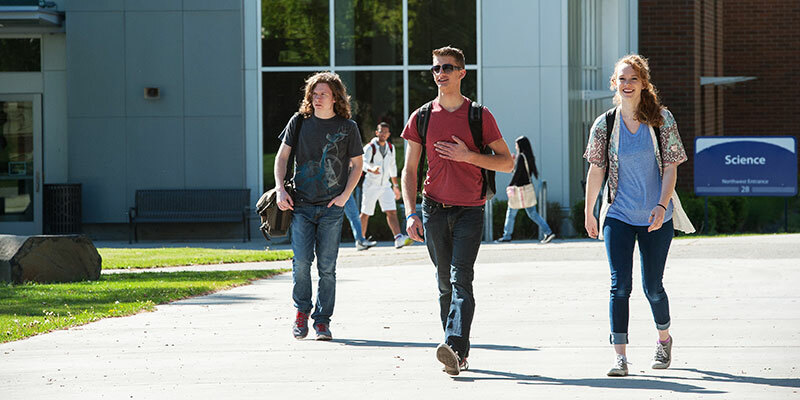 Placement testing at SFCC consists of two components: English and math. Scores are used to determine which classes you should take. Have questions about the math placement test? Wondering which math placement test to take? Visit the MyMath Test page. Prior to coming to the test, you will need to pay the $30 testing fee. You can pay the at the Cashier window (Bldg. 17) or by phone at 509-533-3569 between 8 a.m. and 4 p.m. Be sure to get a receipt or a receipt number. The receipt, or receipt number, will be valid for 90 days after purchase. Bring both the testing fee receipt AND valid photo ID to the testing center. If the college is delayed, there will be no morning testing. If the college is closed, there will be no testing that day and testing will need to be rescheduled. Before coming for testing, please check our Emergency Alert System page for closings and delays. The Testing Center administers placement assessments during specific dates and times. New students will be enrolled in New Student Orientation (class registration happens here!) upon completion of both assessments. Schedule your appointment to take the assesments by clicking the "schedule an appointment' button below. PLEASE NOTE -- the online scheduling system will be unavailable to you if you have applied less than 72 hours ago. Please call the office at 509-533-3401 to schedule. If you have graduated from high school within the last three years, you may be eligible to bypass placement testing based on your high school GPA and/or test scores. Locate a proctor who is able to accommodate you at your local community college or public library. Complete and return the Proctor Request form for English placement. SFCC's Testing Center will send the exam and instructions to the proctor you have chosen once the form has been received.